The Mountain Home Ranch provides access to two miles of the rugged, North Fork of the Big Thompson River, and is a spectacular dry fly fishery. The naturally reproducing browns, cutthroats and rainbows in this area average in size from 8-10 inches all the way up to 14 inches. 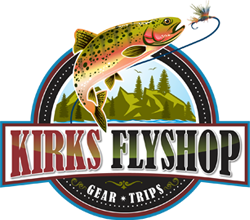 Trips include all necessary fly fishing gear, transportation to and from the shop and a friendly, knowledgeable guide. The 4 hour trip includes a snack and drink, and the 6 and 8 hour trips include a hearty lunch. Rainbow Trout at Mountain Home Ranch. North Fork of the Big Thompson River.